House Republican Leader Jim Durkin names State Rep. Adam Brown (R-Champaign) as the new House Republican Conference Chairman. 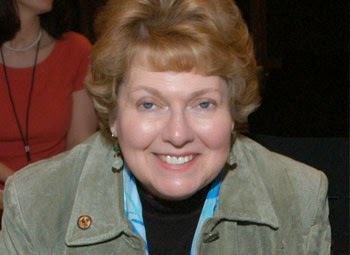 Rep. Brown has served in the Illinois General Assembly since January 2011. Previously, at age 23, Adam Brown was the youngest person ever elected to the Decatur City Council, serving as Councilman from 2009-2010. Adam formerly served in the United States Department of Agriculture’s APHIS division in Champaign and the Foreign Agricultural Service in Washington D.C. Read more. The Illinois Department of Financial and Professional Regulation recently filed a document with an administrative court against Burkhart, asking her to address the claim that she falsely represented herself as an architect when she signed a contract with the College of DuPage in 2012. Under state law, it's a misdemeanor to portray oneself as an architect without a license. Read the rest of the story in the Chicago Tribune. A group of southern Illinois lawmakers is showing support for a Salem teenager who is fighting for his life. Weston McGhee was severely injured in a car accident recently. His older brother, Wyatt was killed in the accident. Dense fog that morning is to blame for the crash. WSLITV has the story. 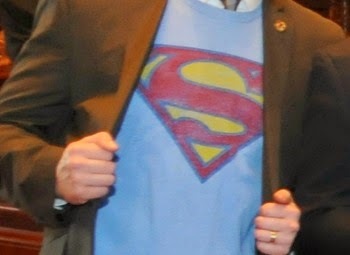 Weston is known for wearing his 'superman' t-shirt under his athletic gear for 'good luck' which is where the idea for these shirts came from. The campaign uses the hashtag #WestonStrong to encourage Weston and support his family to stay strong. 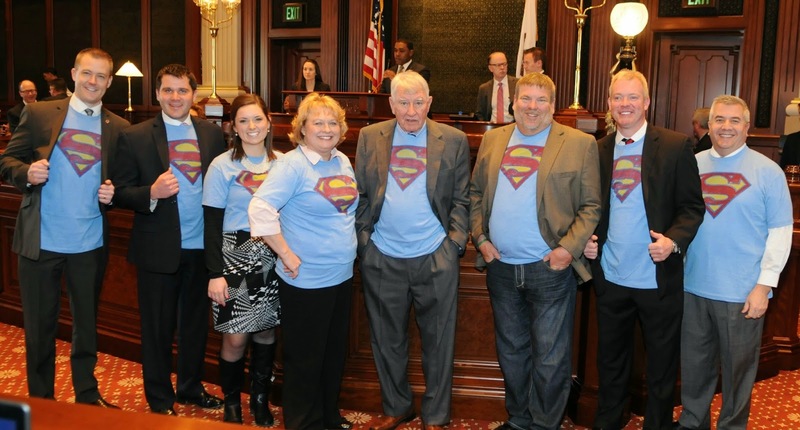 State Reps Davidsmeyer, Brown, Bourne, Bryant, Cavaletto, Meier, Phelps & Reis wore Superman T-shirts on the floor of the House of Representatives on March 26 in a show of support for 14 year old Weston McGhee and his family. 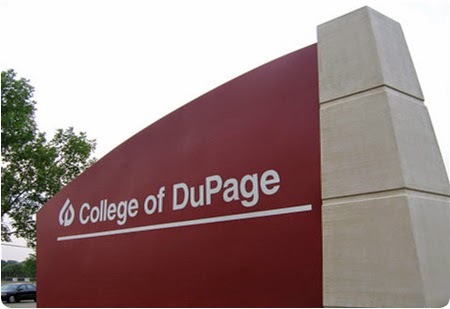 In an attempt to get answers to questions concerning the governance of the College of DuPage, Representative Jeanne Ives introduced a resolution directing the Auditor General to conduct a performance audit. House Resolution 55 cleared its first hurdle today passing out of committee unanimously and advancing to the House Floor. 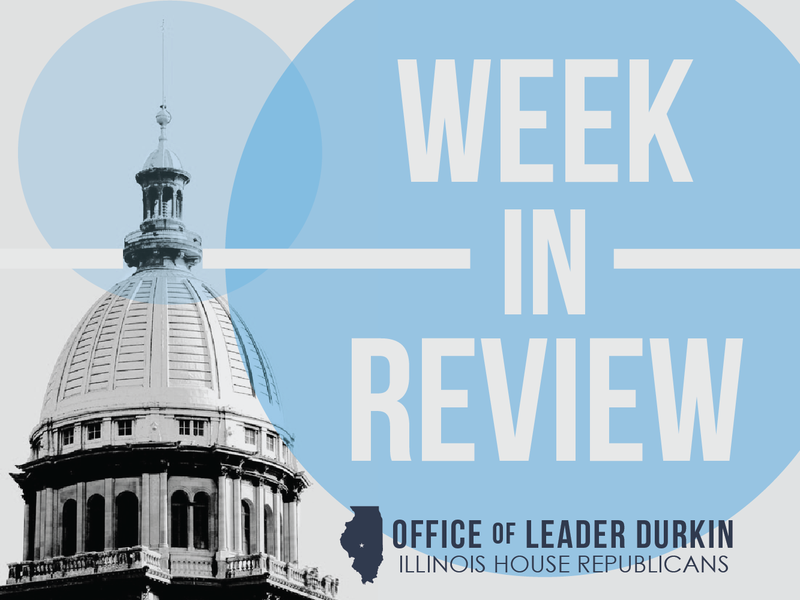 "...Governor Rauner inherited a $1.6 billion budget deficit the day he took office...I am pleased the Illinois House of Representatives began the hard work of straightening out our dire state finances." Governor celebrates National Agriculture Day; new Ag Director confirmed. The Illinois Department of Agriculture is the State agency that oversees Illinois’ production of food and fiber. This week, the appointment of Philip Nelson as new Director of the Department was confirmed. A fourth-generation grain and livestock producer, Nelson is a past president of the Illinois Farm Bureau and past president of the Illinois Soybean Association. The confirmation vote by the state Senate came on Thursday, March 19. State law would be changed to allow the flying of flags at half-staff for Illinois military personnel killed while training on active duty under legislation sponsored by State Representative Keith Sommer (R-Morton). The bill passed the House Veterans Affairs committee on Thursday by a unanimous vote following testimony from Dale Nannen of Hopedale whose son was killed in a Marine Corps training accident last year. The legislation was inspired by the funeral of Marine Corps Major Reid B. Nannen of Hopedale, a veteran of two tours in Afghanistan who was killed March 1, 2014, when his F/A-18C Hornet crashed at the Fallon Grange Training Complex in Nevada. At the time of his funeral, state law only allowed the Governor to direct flags to be flown at half-staff for members of the armed forces killed by hostile fire, not in training. Read more. Rep. Keith Wheeler is a sixth-generation resident of Kendall County and lives with his wife and children in Oswego. For the last 23 years he has owned his own small business and served his communities as chairman of the National Federation of Independent Business, Fox Valley Area Action Council and chairman of the Board of Directors for the Kendall County Food Pantry. Rep. Wheeler represents the 50th District. 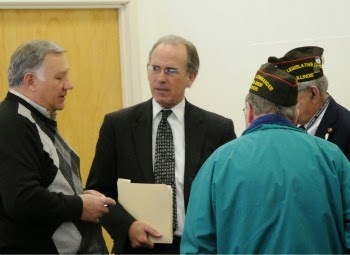 Read more about Rep. Wheeler. The Illinois State Police (ISP) recently announced the Agency will begin accepting on-line Firearm Owners Identification (FOID) applications beginning Monday, March 16, 2015, to provide a more streamlined and modernized application process. 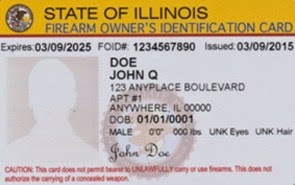 The ISP will no longer accept the current FOID paper applications however, like the Concealed Carry License (CCL), the new FOID application will be available through the Department's website or through the paper alternative call center method for those individuals who do not have computer access. 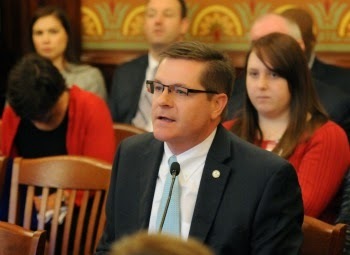 School Boards in Illinois will be better able to ensure student safety while discussing building security under legislation guided through the Illinois House Thursday by State Representative Tom Bennett. House Bill 1498, Bennett’s first bill passing the House, ensures local school districts have the flexibility they need to thoroughly discuss measures to keep students and staff safe from threats of harm. “The current language of the Open Meetings Act presented school boards with a serious dilemma. As they interpret the Act, it requires them to discuss security planning, including reports about where their buildings are specifically vulnerable, in open, public session. Obviously, that could put students and staff at risk and needs to be clarified.” Read more. State’s chief executive appoints new leader for one of Illinois’ largest agencies. 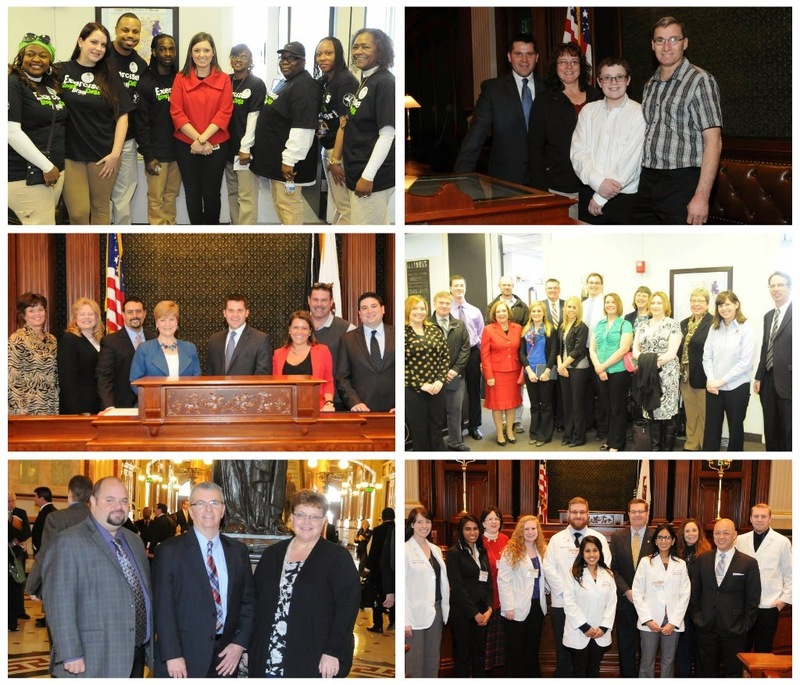 The Illinois Department of Corrections (IDOC) operates 25 prisons throughout Illinois. The Department also operates boot camps, work camps and adult transition centers. Nearly 49,000 persons are residents of State of Illinois confinement facilities. In addition, IDOC supervises about 29,000 men and women who are on parole. 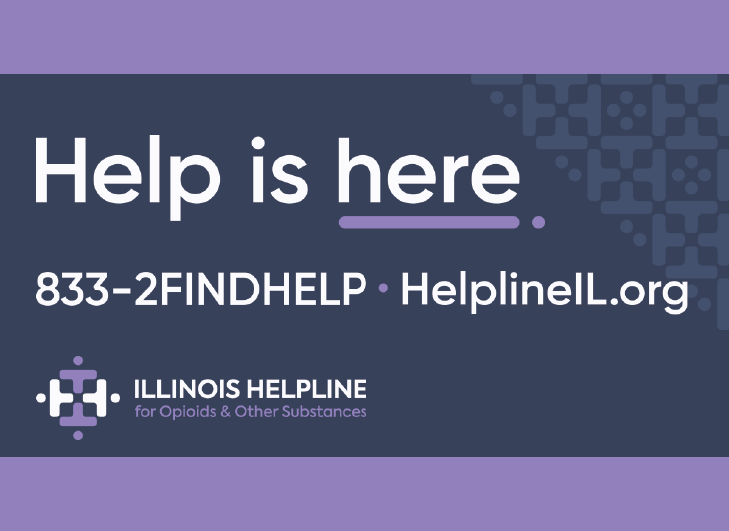 With an annual budget of more than $1.3 billion, IDOC is on the front lines not only of Illinois’ public-safety and security needs but also its current budget situation. Governor Rauner has gone outside Illinois to appoint a new director for the Department. Donald Stolworthy, age 54, will head Illinois’ correctional system. 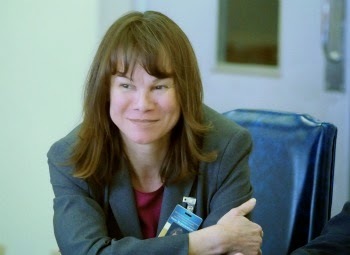 After becoming experienced in corrections management in the Alaska Department of Corrections, Stolworthy moved to the federal government and worked at a high-ranking executive level in Iraq and in the international War on Drugs. 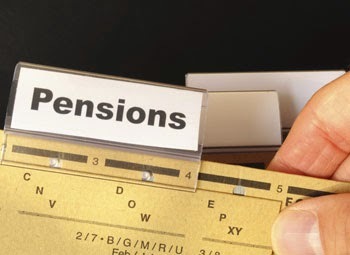 A bill that would increase the frequency of actuarial reviews of the State’s five public pension systems was approved unanimously in the Illinois House on Thursday. According to the bill’s sponsor, State Representative Tom Morrison (R-Palatine), current law only requires a thorough investigation into the pension systems every five years. “A more frequent actuarial study can ensure we are making the right payments to stay on track with our obligations, especially since we now have new Tier II employees in our pension systems,” said Morrison. “These actuarial reviews are incredibly important, because the data leads to recommendations that may be implemented by the pension boards.” Read more. The Illinois Department of Central Management Services (CMS) announced today it will host a resource and networking event designed to connect small and diverse business owners, and to raise awareness about opportunities to participate in the state’s procurement and contracting processes. The Make a Connection: “Connecting Communities to Illinois Business Opportunities” event is hosted by CMS in collaboration with several federal, state and local elected officials. This event is one in a series of ongoing events around the state. It will be held on Friday, March 20, 2015, from 8:30 a.m. to 1 p.m. at Malcolm X College, 1900 West Van Buren Street, Chicago, and it is open to the public at no cost. 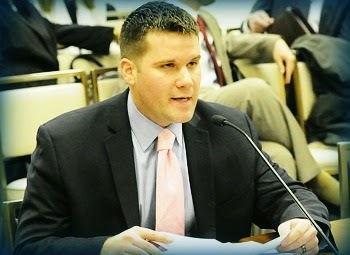 Representative Steve Andersson (R-Geneva) presented his first bill in committee on Tuesday. 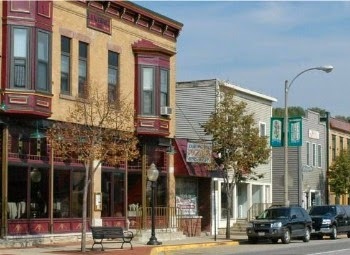 House Bill 2744 amends the Illinois Municipal Code and provides that it shall not be considered a "conflict" under this Section when a municipality that is a party to a jurisdictional boundary line agreement cedes property within its own jurisdiction to another municipality not a party to the same jurisdictional boundary line agreement. The bill won unanimous approval in today’s Cities and Villages Committee hearing. Representative Andersson looks forward to presenting future bills in committee, and further moving his government reform legislation in the 99th General Assembly. The bipartisan House Task Force on Education Funding will hold its first organizing meeting on Wednesday, March 11 at 3:00 PM in Room 118 in the Capitol. It is expected the Task Force will set objectives and future meetings. 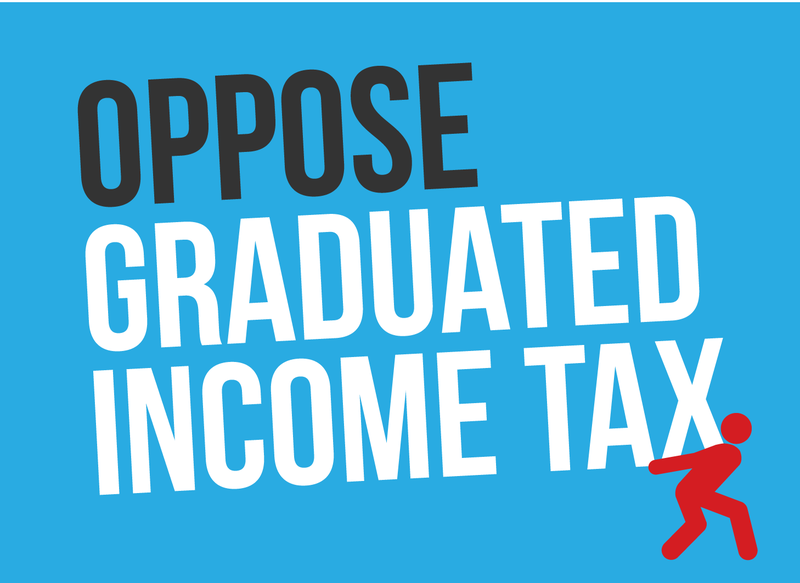 The Task Force will study equity and adequacy issues as it relates to funding schools in Illinois and from the information gathered, propose any necessary changes to the current school funding formula. 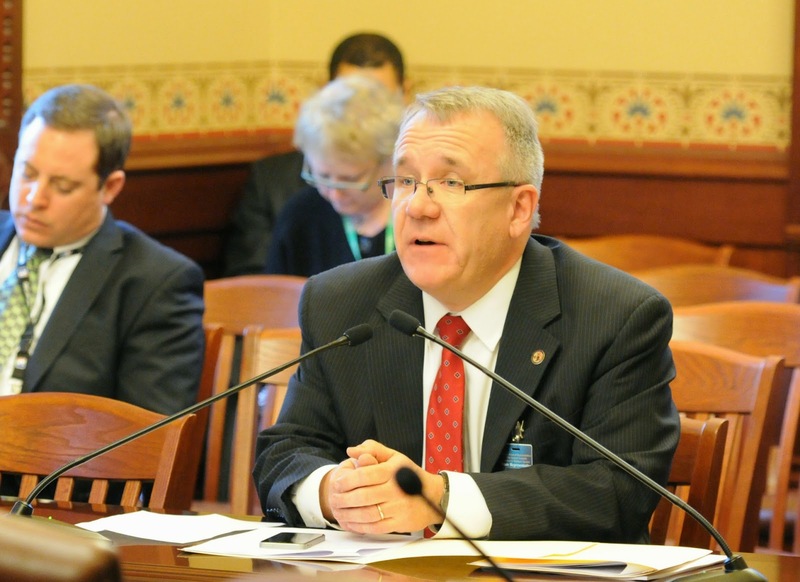 Rep. Robert Pritchard is the Republican Spokesperson for the 23-member Task Force and Republican lawmakers include Representatives Steven Andersson, Peter Breen, Mike Fortner, Jeanne Ives, Ron Sandack, Joe Sosnowski, Mike Tryon, Grant Wehrli and Barbara Wheeler. In January, Rep. Wheeler sponsored and filed HR9 calling for the creation of a committee to examine the existing school funding formula. Randy Frese serves as the State Representative of the 94th District. Rep. Frese was raised on his family’s farm in rural Illinois and earned his Bachelor of Sciences in Applied Sciences/Agriculture at Western Illinois University. After graduating from WIU, Randy learned about business traveling West Central Illinois. Based out of Macomb, he was first a sales and service representative for White Farm Equipment, and then he worked as an industrial minerals salesman. He soon returned to Adams County and began developing a series of entrepreneurial small businesses. Throughout his years as a small business owner Randy employed hundreds of individuals in the western Illinois region. 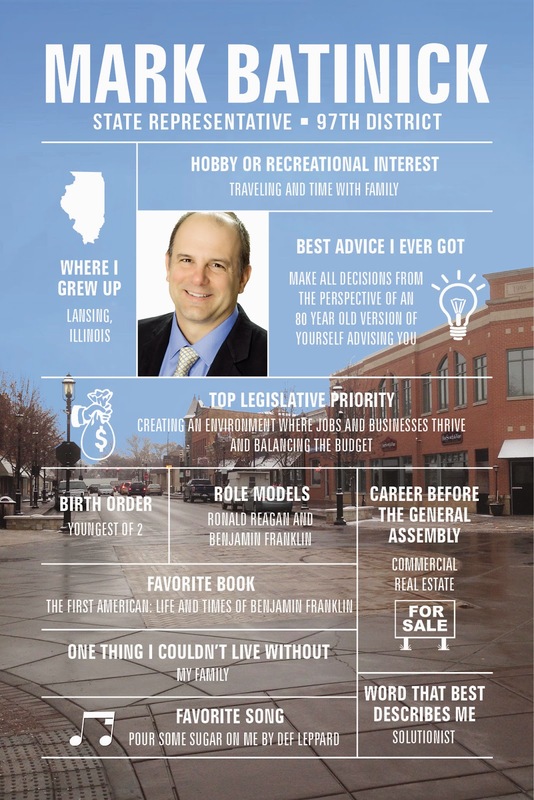 He knows what it is to make the hard decisions of a small business owner, he knows how to maintain a budget and follow a plan, and he is able to relate and work with those who bring small business opportunities to western Illinois. Randy has been married to his high school sweetheart for 31 years and has three daughters. 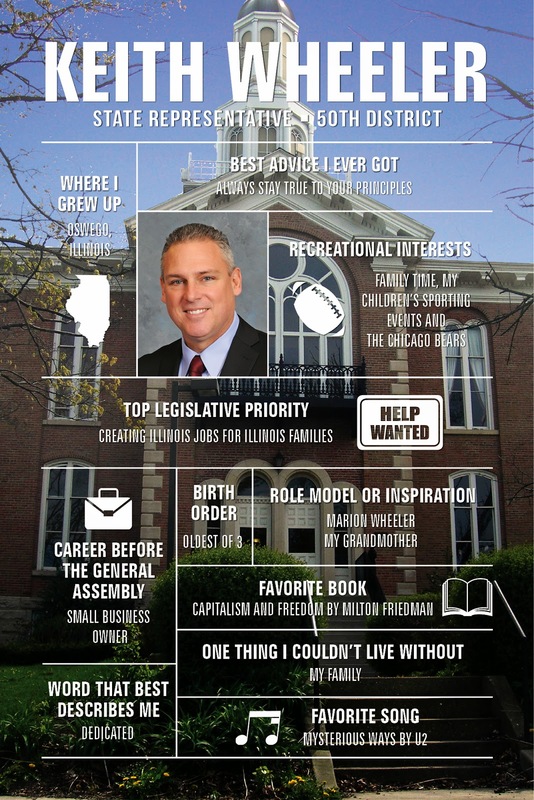 Read more about Rep. Frese. Comptroller Leslie Geissler Munger urges taxpayers to register online to check the status of their Illinois tax returns and sign up for text message and email payment notifications. 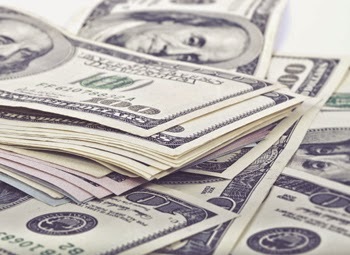 The Tax Refund Alert System allows taxpayers enter their name and Social Security number to see if the comptroller's office has processed their 2014 tax refund. Taxpayers also can enter an email address and phone number to receive a payment notification. In addition, Munger announced her office will include inserts with all tax returns detailing where the state spent $36.7 billion in 2014, information on the state's bill backlog and other tools to help taxpayers learn about state and local finances. Those who receive their tax refunds through direct deposit may view the tax insert digitally if they register for the Tax Refund Alert System. 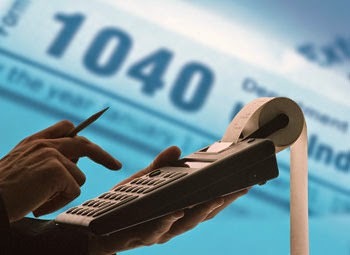 Specifically, the tax return insert provides a spending breakdown by state agency. It further provides snapshots of the state's unpaid bills over time, documenting the backlog at the end of the fiscal year and six months later at the end of the calendar year. It refers residents to the comptroller's transparency websites, the Ledger and the Warehouse, for more detail on state and local finances. The state would be required to operate a hotline to receive complaints about jet noise from O'Hare International Airport and collect scientific data that "creates an accurate overall portrait of the impact of noise on community quality of life," under legislation that was introduced Thursday. State Rep. Christine Winger, a Republican from Bloomingdale in DuPage County, said residents in her district are concerned about how O'Hare noise may be affecting the health of families as well as potentially lowering property values. Major changes in O'Hare flight patterns that took effect in October 2013 are sending more planes west and east of the airport, while generally reducing the number of flights north and south of the airfield. Winger introduced three bills that she said would require the collection of more information by jet noise monitoring devices and implement tougher accountability measures. Read more. Concerns continue as no agreement reached on growing spending crisis. With the FY15 budget more than $1.6 billion out of balance, more and more subsectors of the Illinois economy were affected this week. House Republicans reaffirmed their commitment to solving issues related to immediate funding issues faced by child care, corrections, and court reporter sectors of the economy. Last month a group of lawmakers sought to advance a package of legislation aimed squarely at a $750K severance buyout that left local taxpayers reeling. Now revelations by the Chicago Tribune that College of DuPage administrators spent hundreds of thousand of dollars on taxpayer-funded outings at the high-end publicly-owned restaurant on the campus of College of DuPage has raised the ire of those same lawmakers. "Once again, we have seen irresponsible, reckless spending out of our leadership and elected officials from the Community College of DuPage. This is just another reason why a full compliance audit of C.O.D must be completed by the Illinois Auditor General to create better transparency, reinforce accountability and start to regain the trust of the taxpayers." 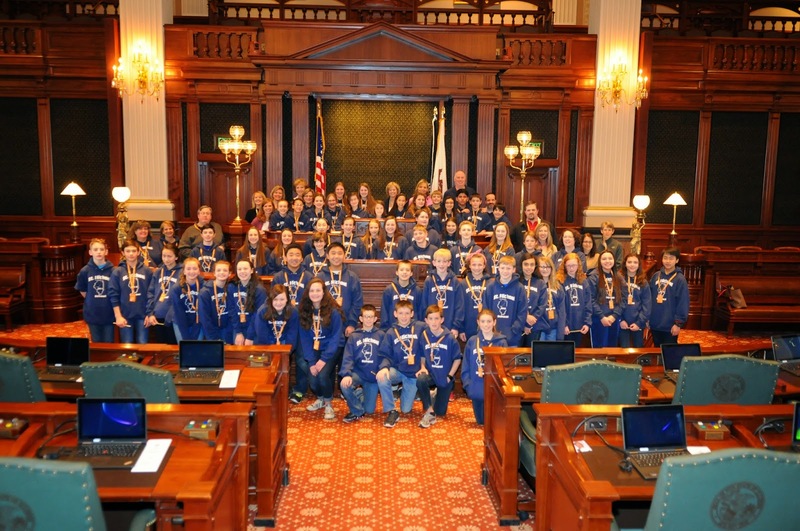 Today the Illinois of Representatives will pause to remember the late State Rep. Rosemary Mulligan (R-Des Plaines) who passed away on December 30, 2014. Rosemary Mulligan served in the General Assembly for 20 years (1993-2013) and throughout that time she never lost sight of why she came to Springfield – to be a voice and an advocate for children, for the disabled, for the elderly, for women, for our state’s veterans, for improving access to quality health care and to strengthen public education in the State of Illinois. A former Chairman of the House Human Services-Appropriations Committee, some of Rep. Mulligan’s key accomplishments include passage of a bill making female genital mutilation illegal in Illinois, the establishment of the veterans' scratch-off lottery card to fund veteran's programs in Illinois, a bill to allow for an income tax check-off to help pay for prosthesis replacements for veterans, securing funding for fighting flooding issues in the Des Plaines River area, instituting programs to fight compulsive gambling and other addictions. Rep. Mulligan was known for her tenacity and her extraordinary compassion for the most vulnerable families in Illinois; particularly those with developmental disabilities, mental health issues and various addictions. House Resolution 76 honors the life and career of our former colleague and friend Rosemary Mulligan, whose contributions to the State of Illinois and dedication to the communities of Chicago’s northwest suburbs will be long remembered. Legislators are bringing awareness to the dangers of Hepatitis C in Springfield by partnering with community advocates and Hepatitis C experts to promote screenings for those who are at risk and are working to ensure access to treatment for those who need it. State Representative Michael McAuliffe (R-Chicago), chairman of the Hepatitis C Task Force is sponsoring House Resolution 214 to explain the dangers of the silent epidemic that is Hepatitis C. The resolution also declares May as Hepatitis C Awareness Month. Because of the significant health implications from Hepatitis C, the Centers for Disease Control and Prevention (CDC) recommends a one-time screening for all baby boomers (those born between 1945-1965). 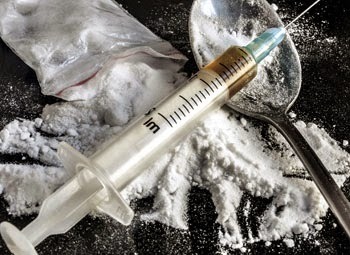 “Baby boomers have the highest at risk factors for Hepatitis C, but we are seeing an upswing in the younger population due to an increase in Heroin use,” McAuliffe said. “Because about 75% of the infected population is unaware that they are infected with Hepatitis C, screenings are incredibly important.” Read more. State Representative Tim Butler (R-Springfield) was sworn in today to the Illinois House of Representatives, taking his seat as the new representative of the 87th House district. 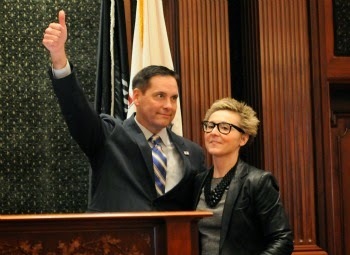 Butler was appointed to the House seat over the weekend, and he took the oath of office in the Illinois House Chamber Tuesday morning. He was joined by family and friends from throughout the district. 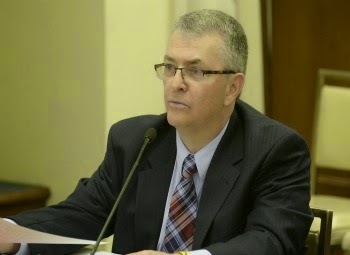 Prior to his service in the Illinois House, Butler was district chief of staff to U.S. Rep. Rodney Davis (R-Taylorville) and previously served in the same role for former U.S. Rep. Ray LaHood (R-Peoria). He was director of marketing for St. John’s Hospital in Springfield for three years. Butler and his wife Wendy have lived in Sangamon County since 1998, residing in Logan County for three years prior to that. He has family in Menard and Tazewell Counties as well. Butler is on the Boards of Directors of Downtown Springfield, Inc. and the Everett Dirksen Congressional Center. He received his bachelor of arts degree in political science from Eastern Illinois University in 1990. The 87th House district includes all or part of four central Illinois counties: Logan, Menard, Sangamon and Tazewell. 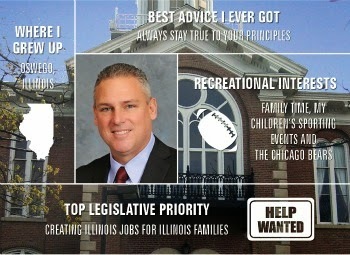 Butler can be reached in his Springfield office at (217) 782-0053. Two Illinois lawmakers plan to propose bipartisan legislation Monday to combat growing heroin and prescription drug abuse, though they acknowledge it may be tough to pass in a difficult budget year. The 240-page bill, sponsored by House Democratic Assistant Majority Leader Lou Lang and GOP State Rep. John Anthony, is a byproduct of legislative task force that traveled around the state over recent months to hear testimony from doctors, coroners, pharmacists, treatment centers, addicts and family members on heroin use and its correlation to prescription drug abuse. The legislation, the details of which Lang shared with The Associated Press in advance of its filing, would require drugs combating heroin overdoses, such as Narcan, to be dispensed more widely to those who have been trained to properly administer them. Currently, some police units carry the antidotes, but the legislation would require all state and local government agencies that employ law enforcement officers and firefighters to possess them. School officials and family members of addicts could also administer the drugs, if they received proper training. CBS Chicago has the story. 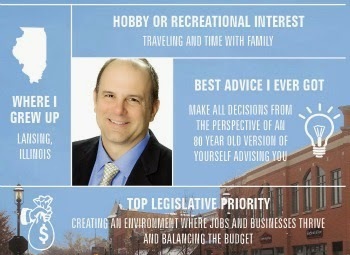 A small business owner and consultant, Rep. Mark Batinick serves the people of the 97th District. Rep. Batinick understands how to save money and make organizations run more efficiently. As a private citizen, he has exposed waste and inefficiencies of local government bodies at the same time he provided alternative solutions that were cost-effective and improved government services. 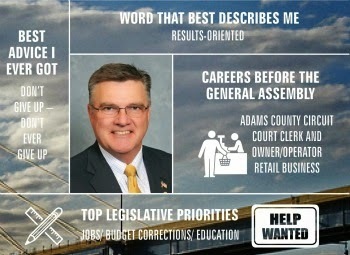 As a state legislator he will bring this experience to state government. Read more about Rep. Mark Batinick.